In his introduction to literary celebrity, Joe Moran addresses the ways in which authors are becoming “a significant cultural phenomenon” in American popular culture (1). 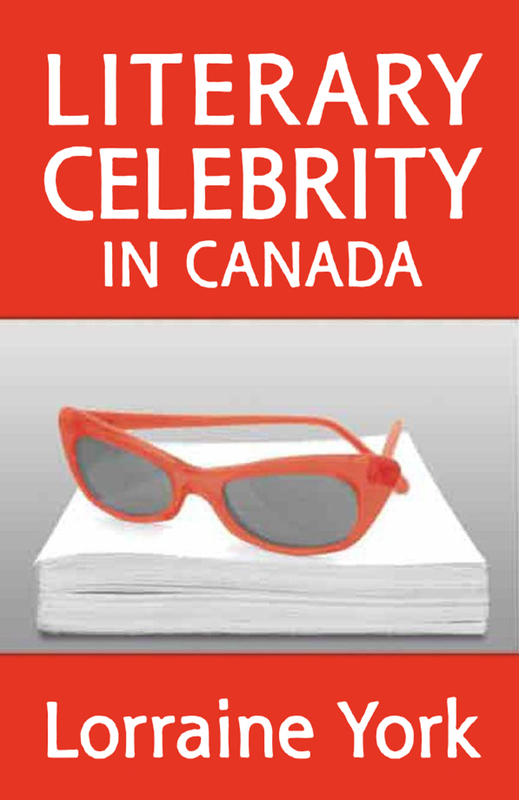 According to Moran, celebrity authors are becoming unavoidable: they are featured in newspapers, on television, at public readings, and at university lectures (1). Massive retail bookstores like Barnes & Noble in the US, public readings, literary festivals, and media spectacles like Oprah’s Book Club have increased the visibility of American star authors. Something similar is happening in Canada—with book retailers like Indigo and media spectacles like the Scotiabank Giller Prize and Canada Reads, Canadian literary celebrities are becoming increasingly visible. Rather than seeing the emergence of the celebrity author as bringing the realm of authorship into “the meaningless ephemera of consumerism” (2), Moran argues there is a complex relationship between authorial persona and the literary economy. To study authorial celebrity, then, requires analysis of the complex “negotiation between cultural producers and audiences” (3). The idea of the celebrity author is not new. According to Loren Daniel Glass, the system of American literary celebrity culture dates back at least as far as 1880, but it was for some time a taboo subject of study for serious literary scholars because of the modernist dismissal of American mass culture (2). Although critics knew that American authors like Mark Twain went on well-publicized book tours, they thought of such things as “ephemeral and trivial phenomena [to] be relegated to the ‘minor’ genres of biography and literary gossip,” and frequently worked under the prejudice “that great literature is somehow beyond or outside the logic of the market” (2). While the market cannot tell us what is, or is not, great literature (or even if there is such a thing as great literature), literary celebrity is an important part of how authors create and maintain the perception that their work is valuable and worthy of consumption. In her study Literary Celebrity in Canada , Lorraine York contends that “[a]t first glance, the very notion of literary celebrity may seem like a contradiction in terms” since terms like fame and celebrity hardly seem to apply to writers, who she playfully calls “those notorious privacy-seeking, solitary scribblers” (5). However, it is important to note the distinction between writer and author. In his essay on the function of the author, Donald E. Pease notes that the genealogy of the term author is related to the medieval term auctor, “which denoted a writer whose words commanded respect and belief” because they were perceived to convey the truth with authority (106). The idea of the author, one might say, has always been bound up with issues of authority—even now, it is common to say that someone who is a published author on a topic is an authority on that subject and thus is deserving of respect. Pease explains that during the early modern period (also known as the Renaissance), the association of the author with authority expanded to include the connotation of author as an originator of new ideas; later still, authors became associated with the idea of genius (108). It is these notions of the author as both an authority and genius that are frequently evoked when authors are discussed as celebrities. The production of literary celebrity has been an important part of the literary economy in North America, in part because writers (whatever the truth) have been depicted as elusive and reclusive, and in part because of the idea that authors, whether constructed as authorities or as free-standing geniuses, are important to know. This picture of the isolated author, as we have shown, omits all the institutional forces that in fact are involved in producing particular texts, particularly since publishing has become a global industry. Discussing literary celebrity can be awkward for some academics, partly because of literary theorist Roland Barthes’ famous argument that the “author is dead”—by which he meant that a text’s meaning could not be discerned by studying the author’s intention. Readers, for Barthes, are the ones responsible for creating meanings out of text, and authors, in this paradigm, have no more authority over their published works than any other reader. This does not mean that authors cannot be insightful readers of their own work; rather, what Barthes suggests is that the author is only one of many readers of their text and their interpretation is not necessarily the “best” or most “authoritative.” While Barthes may have argued the author is dead, for the reading public in contemporary Canada, the author is alive and expected to appear in public. Getting their writing (one form of labour) out to the public requires writers to engage in what York describes in Margaret Atwood and the Labour of Literary Celebrity as another form of labour: the labour of celebrities who go on book tours, respond to interviews, and—in recent years—maintain social media identities. These activities all create the author as a recognizable brand. Miriam Toews. Photo by Carol Loewen. Used with permission from Random House of Canada. Furthermore, York argues that literary celebrity involves a tension between public and private personas of the writer. Graeme Turner concurs, arguing in Understanding Celebrity that it is possible to map the precise moment a public figure like a writer becomes a celebrity: “It occurs at the point at which media interest in their activities is transferred from reporting on their public role”—such as their accomplishment in literature—“to investigating the details of their private lives” (8). Consider, for example, Shelagh Rogers’ interview with Miriam Toews on CBC Radio as part of the promotion that followed when A Complicated Kindness won Canada Reads. Rogers asks Toews if she is similar to the novel’s protagonist Nomi, and if the small Mennonite town in the book was modelled on the one where Toews grew up. Toews politely laughs about both questions, noting that they are the first two that everybody asks her about the book. Here Roger probes for details about Toews’ private life and implies that that knowing these personal details about the relationship between Toews and her protagonist and setting will help readers to appreciate the text more fully. This author interview participates in both the ongoing construction of Toews’ literary celebrity and the text’s literary value. While author interviews can be one of the ways in which literary celebrity is produced, another is through awarding authors prizes for their work. As Barbara Herrnstein Smith argues, prizes are part of the continuous social and institutional processes whereby texts come to be seen as worthy of consumption (181). A Complicated Kindness won both the Governor General’s Award for fiction (2004) and Canada Reads (2006); as such, Toews received a good deal of press, which helped establish her as a recognizable and important emerging figure in the Canadian literary landscape. These events drew attention to the author’s text, since it is the text itself that wins the prize, but they also began the process of construct this author as a celebrity. What do you think the relationship is between the likability of authors and their sales? If you see an author on TV in an interview, or read an essay by her in a major newspaper, and you find yourself liking her, will you then be more likely to buy her work? Does this work the opposite way? Are there times when you are unwilling to buy a writer’s work because you dislike her public persona? If literary celebrity is an important part of the process of evaluating literature, does an author’s perspective on his work influence your interpretation of that text? Or do you agree with Barthes’ contention that the author is dead? Do you interact with authors on social media? If not, why not? If so, what kinds of things do you expect authors to tweet and post to Facebook about? Barthes, Roland. The Death of the Author. Image Music Text . Trans. Stephen Heath. New York: Hill & Wang, 1977. 142–48. Print. Glass, Loren Daniel. Authors Inc: Literary Celebrity in the Modern United States, 1880–1980 . New York: New York UP, 2004. Print. Pease, Donald. E. Author. Critical Terms for Literary Study . Ed. Frank Lentricchia and Thomas McLaughlin. Chicago: U of Chicago P, 2010. 105–20. Print. York, Lorraine. Margaret Atwood and the Labour of Literary Celebrity . Toronto: U of Toronto P, 2013. Print. Moran, Joe. Star Authors: Literary Celebrity in America . London: Pluto, 2000. Print.